HTML5 is the fifth and most recent version of HTML. HTML5 has some great new additions that make it much more powerful and specific than HTML 4.0. Since the goal of HTML is to tell your computer what content is on your website, HTML5 has a whole new set of tags that are much more exact than the <div> and <p> tags that we’re used to using (download our HTML Tag Cheatsheet for more common tags). With HTML5 you can use <article> tags for articles or blog posts, <section> tags for sections, <headers> tags for headers, <audio> for audio, and a whole bunch of other ones! HTML5 also makes it possible to do things that previously required programming languages to do. Want to store some data? Use the HTML5 local storage feature and you don’t need a hosted database! Need to know where your user is located? No problem, HTML5’s geolocation API can help you out. 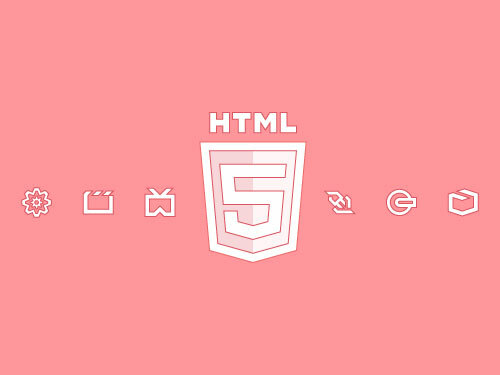 Why is it called HTML5 when every other version has just been called HTML? No reason, other than smart marketing! HTML5 is catchier than “the newest version of HTML” don’t ya think? The tags and functionality included in HTML are defined by the World Wide Web Consortium (W3C). HTML, like software, comes out in releases — in 1995 the W3C updated the original version of HTML to create HTML 2.0 and has released a new version of HTML every few years since. You may have heard people talking about ‘HTML5 compatibility’ for mobile phones. What they are really talking about is that in 2011 Apple decided to discontinue support of Flash video on all new iPhones. Now, the only way to show iPhone users video is to use one of HTML5’s new video formats. So, if you’ve got Flash video on your site, remember that no iPhone users will be able to see it no matter what other fancy HTML5 tags you use. If your site doesn’t have Flash video on it, then don’t worry about HTML5 compatibility, you’re all good! If you enjoy reading about tech industry in-fighting, we recommend that you read Steve Job’s open letter “Thoughts on Flash,” where he detailed all of his complaints about Adobe Flash.